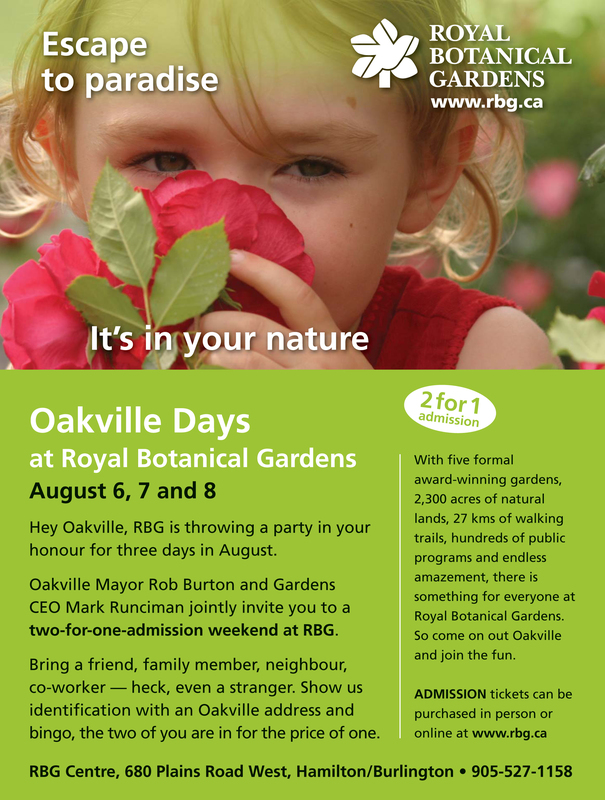 For all Oakville Toastmasters the enclosed poster from the Royal Botanical Gardens (RBG for short) invites us to go down the road a bit and explore the wonders of the RBG. If you haven’t discovered this fabulous place just on our doorstep, here’s an invite to Oakville Days August 6, 7, and 8th with a two for one admission price. Check it out and expand your summer.